We took advantage of the only sunny day during the long Memorial Day Weekend and went for a stroll down Deadwood’s Main Street finding plenty of things to do. I love to see all the people exploring an d enjoying Deadwood. Our first stop was to get some burgers at Sally’s. They are very tasty burgers and Mustang Sally’s is now serving Pile O’Dirt Porter, brewed by the local brewery – Crow Peak Brewing company. 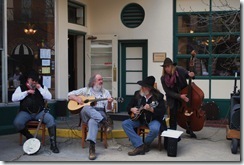 As we were finishing up lunch the Dover Brother’s Hoedown was just getting started. Our table provided us a front row seat for the show. I later found out they will be playing there every day (except Mondays) at 2:30pm and 4:30pm all summer long. 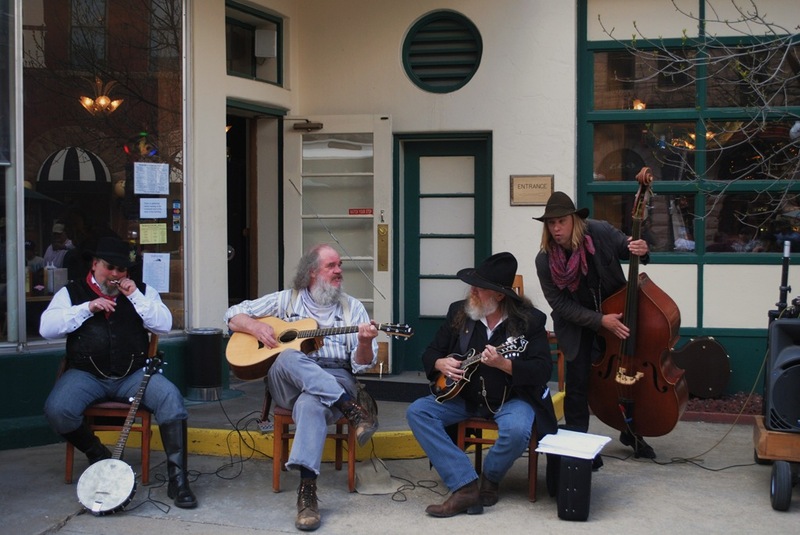 Visit the Deadwood Chamber of commerce for the full schedule of entertainment and historical re-enactments. After dinner and a show, we continued down Main Street. We took a peak in the recently opened Bad Lands Casino. They have a great mix of shopping and gaming machines (94% payout). 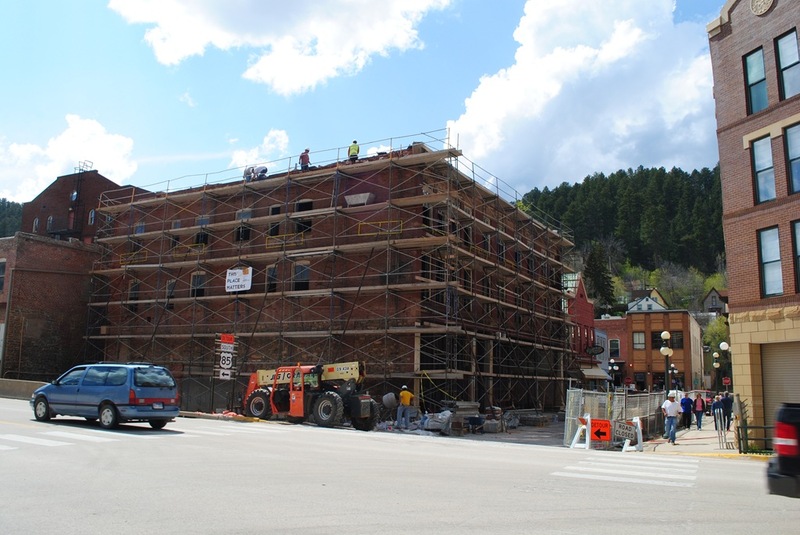 If you read my post on Raiding Deadwood’s Bad Lands, you’ll know these buildings are where the final brothels of Deadwood were located when the Feds shut them down in 1980. This is where you would have found Pam’s Purple Door, Hazel’s White Door, Hazel’s Green Door and the Shasta Room. If you have any interest in the history of gaming and prostitution, I encourage you to purchase a copy of local author and attorney Michael Trump’s Book Raiding Deadwood’s Bad Lands . He tells the fascinating story of Deadwood’s not-so-legal past. 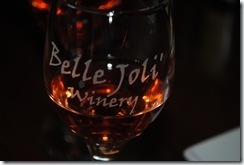 We continued down Main Street to visit our good friend Rayelle at the Belle Joli Tasting Room. 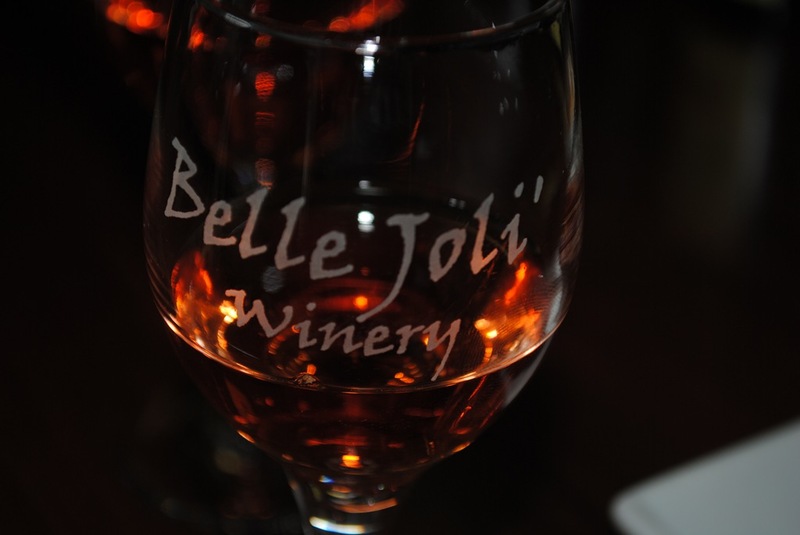 For just five dollars, you get to taste the Belle Joli wines, and that includes a piece of chocolate with the Mon Cherry – Belle Joli’s cherry dessert wine. The best way to experience the chocolate and cherry flavor together. 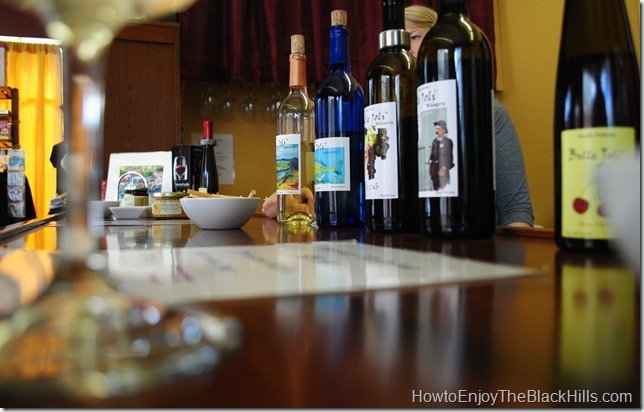 And, if you buy a bottle of wine the tasting is free. Or, If you’ve already picked out a favorite wine, just buy it by the glass and enjoy it on the outdoor patio. It was time to head home. We happen past the Pineview Building. I guess it had deteriorated more than previous believed, but they are going all out on the restoration. It will be exciting to see the building in use again. I gave a shout out to Paul at the Pump House Coffee and Deli as we were walking by. I couldn’t help but notice his sign for Ribs. He told me they are serving country style pork ribs Fridays and Saturdays all summer long. Perfect, now we have dinner plans before we are even home from lunch. I love going for a walk in Deadwood. 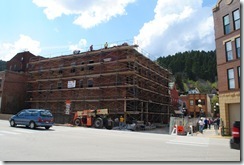 Visit my Guide to Deadwood South Dakota. Also, the Deadwood Chamber of Commerce has loads of information. A few of my other favorite things to eat in Deadwood are the truffles from the Chubby Chipmunk and Cheesecake from the Social club.